You're going to be seeing this look everywhere. 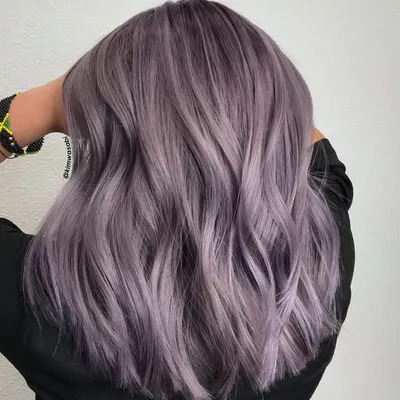 Chocolate lilac hair is here, and it's slowly but surely taking over the world. OK, maybe that's a little dramatic, but seriously—this trend is everywhere, and for good reason. 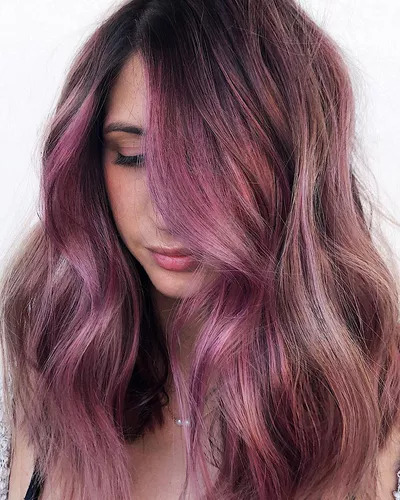 Letting whimsical strands of light purple float through a rich brunette mane is the perfect combination of playful and put-together. It's unique, but not over the top. Classy, but not boring. There are countless different ways to do this look. 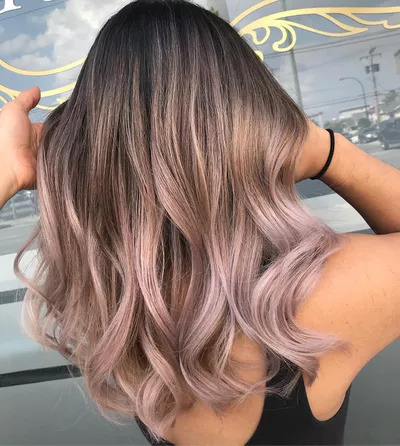 You can dial up the purple, giving your strands more of an electric feel, or opt for a lighter shade, giving you the fairy crown you deserve. There's no right or wrong when it comes to a chocolate lilac mane. Before you hop on the trend, it's important you know how to care for newly dyed hair. 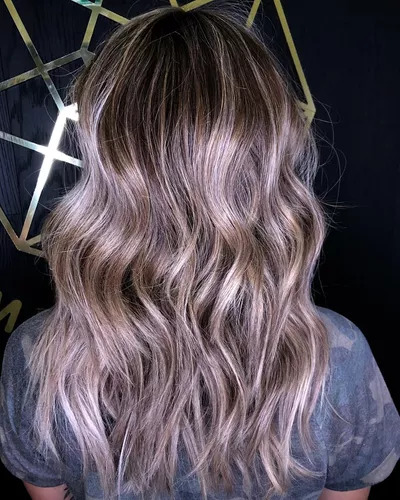 Shampooing your hair too often can cause colored hair to fade quickly, so pick up a formula that will help retain your color, like R+Co Gemstone ($24, amazon.com) or Oribe Shampoo for Beautiful Color ($46, amazon.com). Below, we've rounded up seven of our favorite chocolate lilac looks. Take these to the salon for inspiration, or use them to imagine your own version of this style. 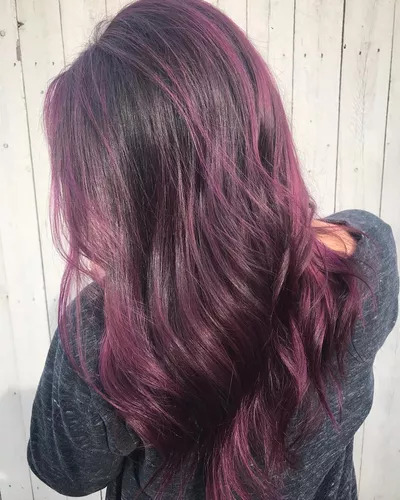 No matter what brunette-purple combo you choose, you're guaranteed a head-turning look.